The exhibition features 330 stunning art pieces gathered for the first time and from collections around the world. 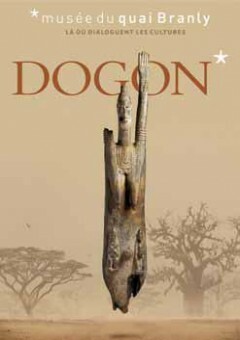 It provides a chronological overview of the art of the Dogon eighth century to the present day, reflecting its rich diversity of styles, from first contact with Tellem to the development of European taste for the masks and sculpture in the twentieth century. The exhibition shows the impact of migration and subsequent contact with other Dogon peoples of the region's culture and art Dogon. It places a unique technical expertise conducted on the patina of statues and disclaims typologies of everyday objects and daily virtuosic and varied techniques, often presented in terms of major pieces of statuary.